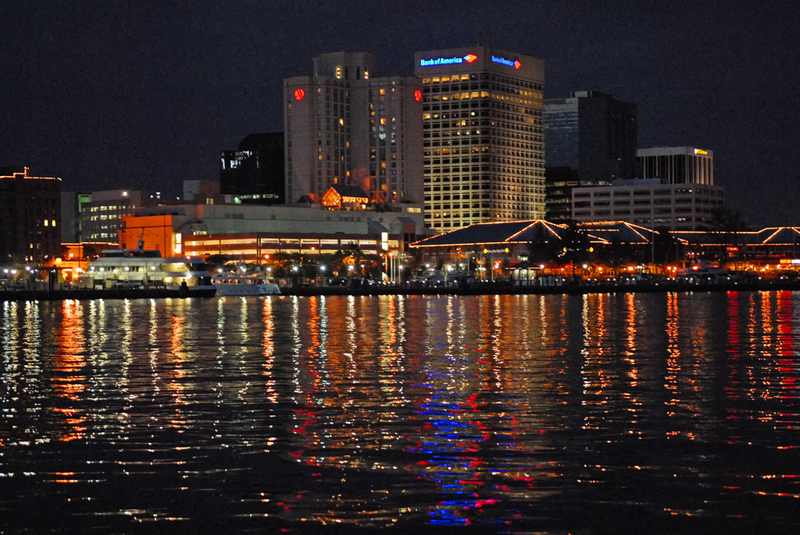 Norfolk is beautiful at night. As are most port cities! Hampton Roads is a shippy place!